Another Senior Night is coming up on Saturday, January 26. On this night, the girls basketball team will play against Johnston City. 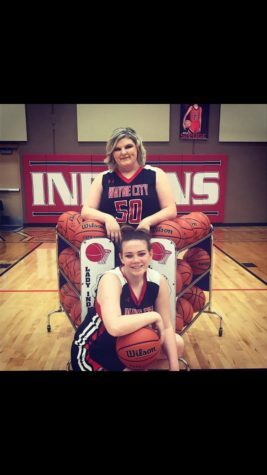 The game will be bittersweet for the team’s two seniors, Maggie Dickey and Hanah Cooper. They’ve played more than 4 years and loved every minute of it. While this game could be the last one for the seniors, Dickey kept her spirits high. “It was a fun last basketball season and I will miss playing,” she spoke. The whole team played their hardest this year and even with Dickey and Cooper finishing up their basketball career, the team next year won’t be lacking. With new freshmen joining the team and juniors moving up into senior positions, they will give their rivals a run for their money.